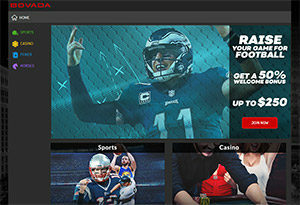 Bovada Sportsbook is an online sportsbook using software from Betsoft and DGS. It accepts players from the US. Languages include English, Spanish and Chinese. Bet on most sports, entertainment props, eSports and more.